The Oh She Glows cookbook by Angela Liddon and blog www.ohsheglows.com recently came to my attention through my sister. I found the vegan recipes to be inspiring, so I ordered the cookbook, then made some oatmeal cookies from the blog the next day. I have enjoyed the cookbook so far and particularly liked a recipe for chickpea salad. I must admit that I used regular mayonnaise. However, you can purchase vegan mayonnaise at the health food store or make your own with a blender and Angela Liddon’s recipe in the cookbook. 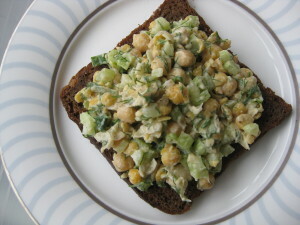 Here is my version of the Oh She Glows chickpea salad. A delicious vegetarian alternative for a classic ‘salad’ sandwich. I much prefer home cooked chickpeas. The Old Bay seasoning really adds a great flavour. In a medium bowl, mash chickpeas with a fork until half are mashed and half are still whole. Add celery, green onion and mayonnaise to the chickpeas, mix well. Season with dill, Old Bay seasoning, lemon juice, salt and pepper to your taste. Enjoy as a sandwich or over a bed of greens as a salad. I often enter into conversations on what are the best forms of exercise and physical activities to engage in? The answer is individual to each person and their intents. An important consideration is always taking care of yourself and your body. At Making Life Good, we believe that a healthy lifestyle is being well and active to the best of your abilities while thoroughly enjoying life. 1. Challenging-Your body is constantly adapting and needs physical activities that challenge your current capabilities to be fit. Long, steady state activity, higher intensity activity and sprint activity are all needed to challenge the energy systems of the body. 2.Strength-Your muscles are use it or lose it. Your strength needs to be challenged and trained on a regular basis to maintain a strong and lean body. Physical challenges such as chinups, step ups, lunges, squats, pushups and plank need to practiced on a regular, weekly basis. 3. Movement and flexibility-Once you challenge your cardiovascular system and strength on a regular basis, maintaining your movement and flexibility is important. This can be any form of co-ordinated movement and/or stretching you enjoy such as dance, yoga, pilates. 4. Novel-Trying new movements and sensations on a regular basis (at least once a week) keeps your physical activity routine fresh, so your body can create new connections and adaptations. This could mean listening to different music, exercising in a different locale, trying a movement you have never tried before, or getting moving if you’ve been inactive! 5. Attunement/Breathing/Introspection/Meditation/Reflection/Relaxation-A balance between doing and being is needed and taking time to tune into our breath, bodies and ourselves is important. 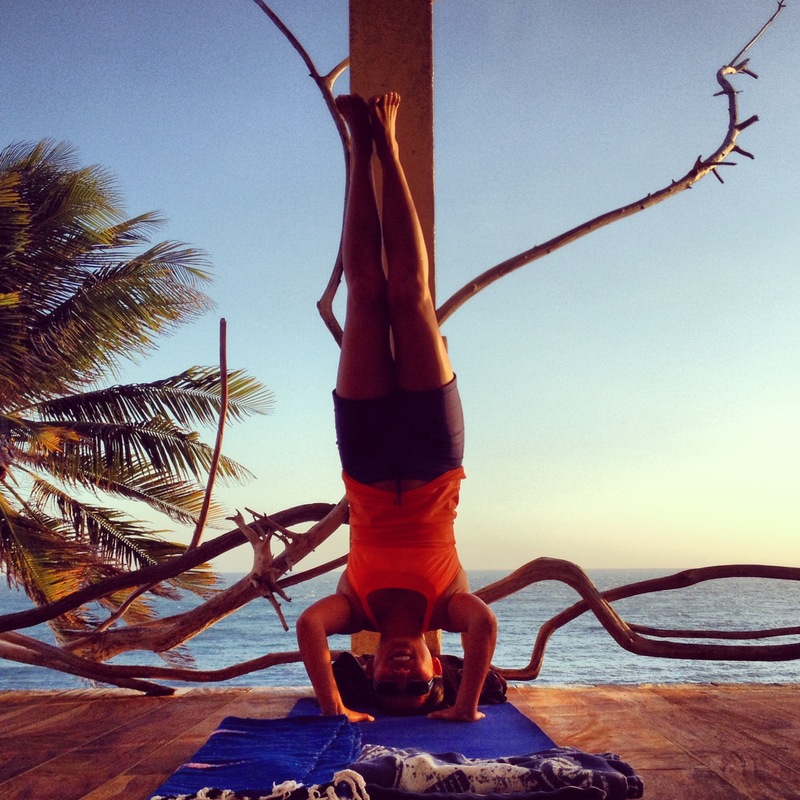 A clear mind united with a relaxed body is optimal health, performance and well being.